Body First is committed to provide Tennis Opportunities to the Manhattan and the Flint Hills. 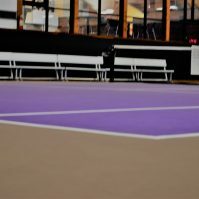 Home to Manhattan’s only indoor tennis facilities, Body First Tennis and Fitness Center offers the chance to measure level of play and improvement with a variety of programs for the whole family with tennis programs and instruction for all levels. Body First offers a variety of programs for our members to participate in, including: Tennis Drill, Beginner Clinics,, Tennis Lessons, Junior Tennis Programs, Tennis Socials, and more. Reservations are based on availability. Court demand may limit maximum use to one session per individual and two sessions per day per family. Reservations will be limited to a maximum of 90 minutes. Additional court time will be on an availability basis and at the discretion of the Body First Staff. When reserving a court, you may only reserve for your party. Lessons are not considered court reservations. Late lesson cancellations shall warrant an automatic charge for the lesson. 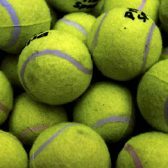 Court times should be cancelled at least twelve hours in advance on the day of play, to allow for re-booking. Body First reserves the right to charge a $10 cancellation fee for any court not cancelled 12 hours prior court time. Body First reserves the right to revoke reservation privileges for repeat late cancellation offenders. Ball Machine may only be used on designated courts during non prime time hours. After ball machine use all ball must be picked up and ball machine returned to proper storage area.